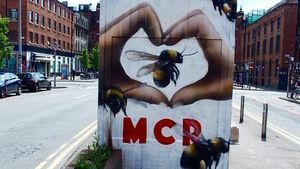 From a radiographer who was on duty, to a taxi driver who helped people on the night, people of Greater Manchester reflect on the last 12 months. Robby Potter spent three weeks in a coma following last year's terrorist attack at a pop concert. 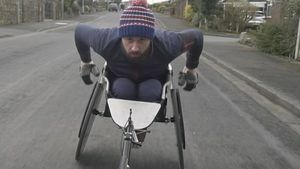 A man paralysed in the Manchester Arena attack says he's determined to "prove the terrorists wrong" by taking part in the city's 10k race. 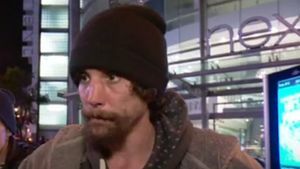 Chris Parker was initially dubbed a hero amid claims he comforted an injured girl at Manchester Arena. Volunteers clean soft toys left in St Ann's Square after May terror attack, making them 'bears of happiness' for local children Nearly 2,000 teddy bears that were laid among 300,000 bouquets of... flowers in St Ann's Square, Manchester, in the days after the arena bombing are to be given new homes. Manchester city council said on Wednesday that the soft toys would be distributed to children across Greater Manchester, having been repaired and spruced up by a team of volunteers. 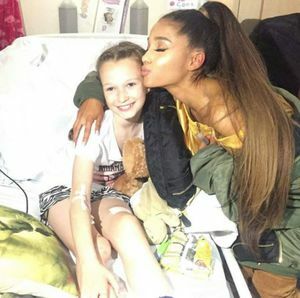 Charity offers cash to those who were functionally impaired by witnessing the aftermath of terrorist attack Up to 300 survivors of the Manchester Arena bomb who have suffered related mental health... problems could receive £10,000 each from a charity fund established to help victims of the attack. 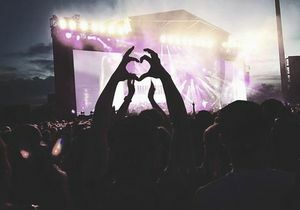 Witnesses who were in the arena foyer on 22 May when Salman Abedi detonated his suicide bomb will receive the money if experts assess that they were "functionally impaired" by the psychological injury they sustained, the We Love Manchester emergency fund trustees said on Thursday. Andy Burnham says a trial in Libya, where Hashem Abedi is in custody, would not represent justice for victims The Greater Manchester mayor, Andy Burnham, has expressed grave concerns after it emerged... that the brother of the Manchester Arena suicide bomber Salman Abedi will be tried in Libya. Hashem Abedi, 20, is alleged to have played a key role in the suicide bombing carried out by his older brother which killed 22 people and injured more than 200 in May. 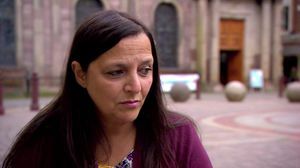 Twelve weeks after the Manchester attack, a bereaved mother explains how she is trying to cope with what happened. 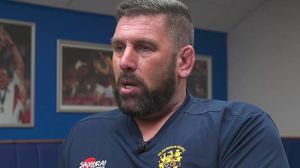 Hundreds of people have lined the streets of Oldham this morning to give their support to the family of Alison Howe who was killed during the Manchester attack. Services held for Liam Curry and Chloe Rutherford in South Shields, John Atkinson in Bury and Georgina Callander in Tarleton A young couple killed in the Manchester bombing were "inseparable in life,... inseparable in death", the vicar leading their joint funeral service has said. Mourners were asked to wear pink or blue for the service for Liam Curry, 19, and Chloe Rutherford, 17, at St Hilda's church in their home town of South Shields, South Tyneside, on Thursday. Suicide bomber Salman Abedi (left) carried a rucksack packed with a 'massive number' of small metal objects which 'flew through the air at high velocity' when detonated, a court has heard. All proceeds will go to aid victims of last month's horrific terror attack outside the Manchester Arena. 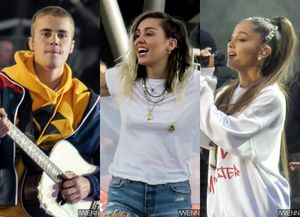 The star-studded show hosted by the 23-year-old songstress featured powerful performances from huge musicians and emotional speeches in the wake of terror attacks in the U.K.
Ariana Grande Manchester Benefit Concert Will Go On "With Greater Purpose"
The explosive device used in the Manchester terror attack was 'highly similar' to bombs used by Islamic State jihadis in the 2015 Paris attacks. 10,000 people fraudulently applied for tickets to the show claiming they attended Ariana Grande's 22 May (17) concert. Police arrested a 24-year-old man Friday night in southern Manchester, part of the investigation into last week's suicide bombing that killed 22 people at a Ariana Grande concert in the northern... English city. Grande returned to the UK to headline a fundraising concert for the victims of the suicide bombing.